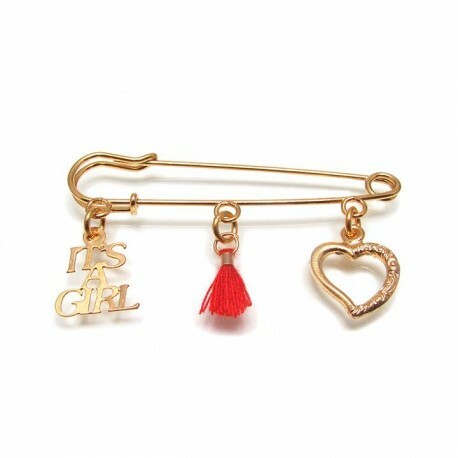 It's a girl pin brooch, Safety pin brooch, made of gold plated with 3 delicate charm pendants. 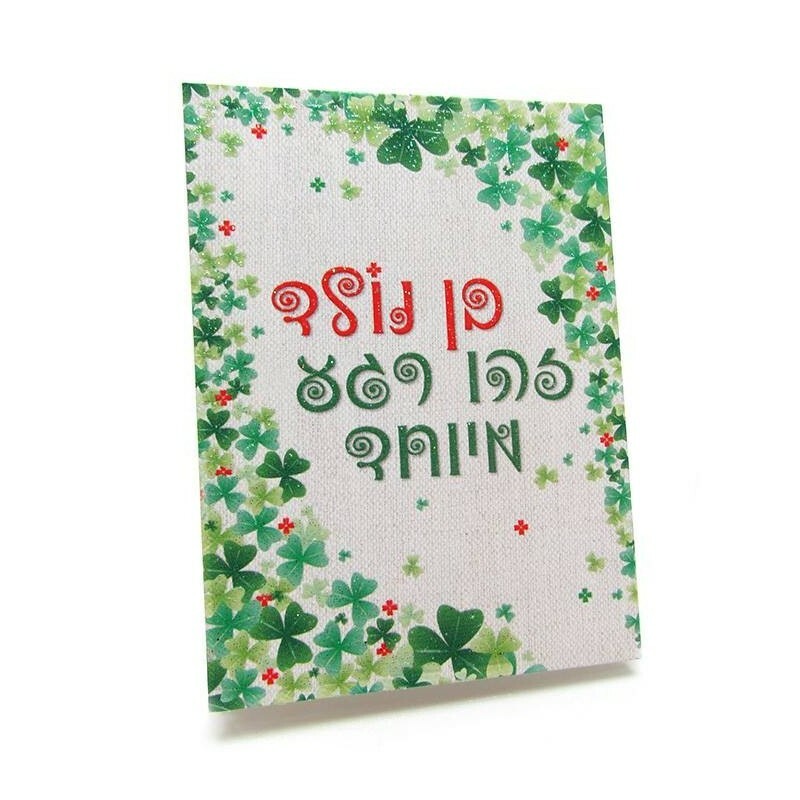 It is coming with a with greeting card, please choose for baby boy or baby girl. 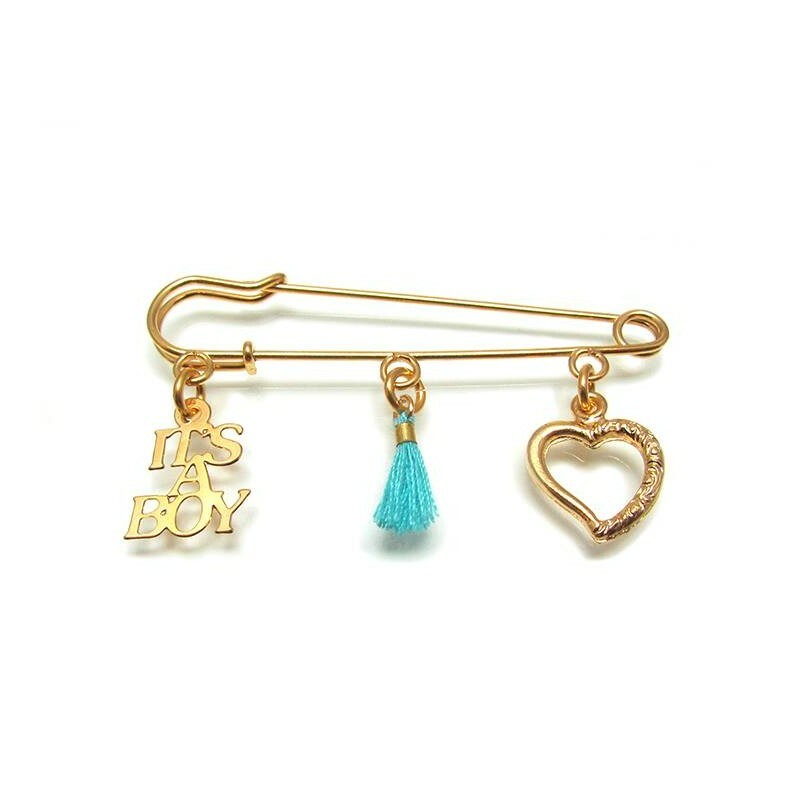 Baby Brooch length: 2.8" / 7 cm. 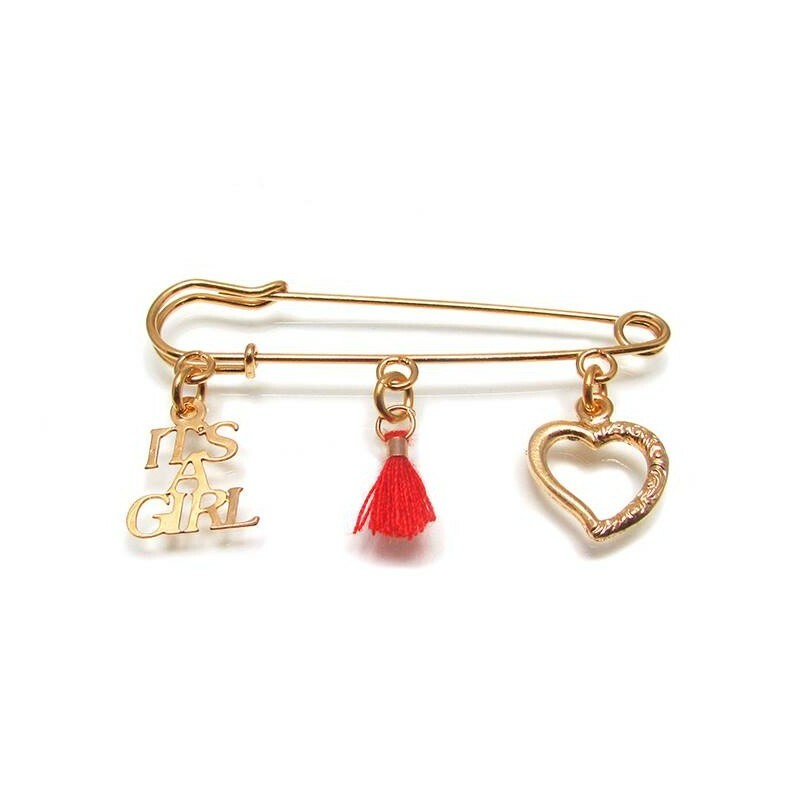 The baby brooch has 3 charm pendants: an "It's a boy" monogram, a lucky fringe blue charm and a heart. 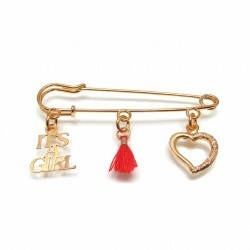 Baby Brooch pin, the best gift for new born, you can use it in the baby bed or even in the baby stroller. A hamsa is an amulet shaped like a hand. It is thought to protect against the “evil eye” and is a popular motif in both Jewish and Middle Eastern jewelry.